Inverters are the brains of the solar power system, converting the D.C power to A.C power. They also provide monitoring capabilities. Choosing the right brand can be a difficult choice, with so many offering what seems like a similar product. We've tried, tested and installed many different brands and feel the following two are at the top of the list for price, performance and warranty. Here are our recommendations. Of course we can supply any particular brand or model you may be interested in. PRIMO: Power categories ranging from 3.0 to 8.2 kW single phase. This single-phase, transformerless device is the ideal inverter for private households. Its innovative SuperFlex Design provides maximum flexibility in system design, while the SnapINverter mounting system makes installation and maintenance as easy as possible. 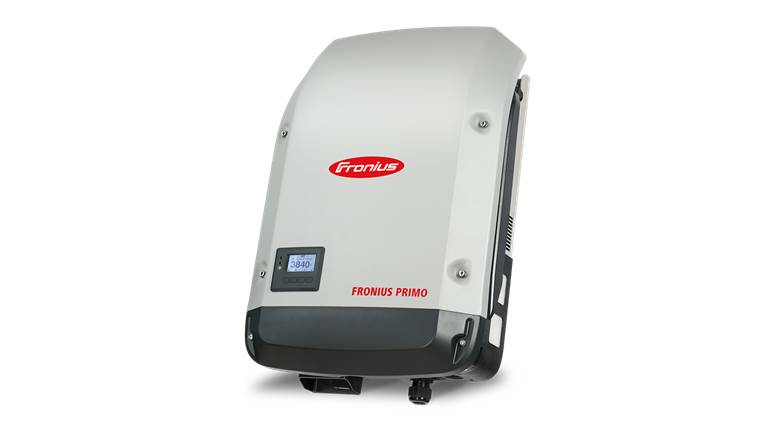 The communication package included as standard with WLAN, energy management, numerous interfaces, and much more besides, makes the Fronius Primo a communicative inverter for owner-occupiers. SYMO: Power categories ranging from 3.0 to 20.0 kW. This transformerless device is the three-phase inverter for every system size. Owing to the SuperFlex Design, the Fronius Symo is the perfect answer to irregularly shaped or different roof orientations. A WLAN or Ethernet internet connection as standard plus easy integration of third-party components make the Fronius Symo one of the most communicative inverters on the market. Furthermore, the meter interface permits dynamic feed-in management and a clear visualisation of consumption. 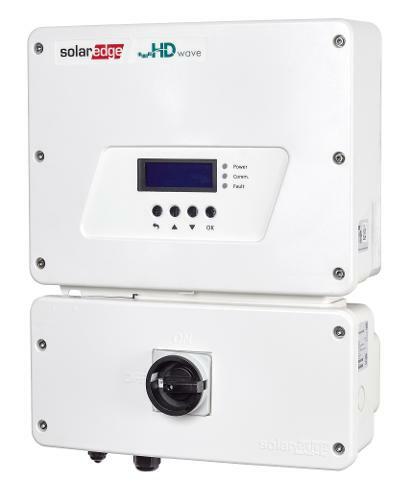 A New Era for PV Inverters with HD-Wave Technology SolarEdge's single phase inverter with HD-Wave technology, winner of the prestigious 2016 Intersolar award and the renowned 2018 Edison Award, breaks the mould of traditional inverters. Using a novel power conversion technology that is based on a distributed switching and powerful DSP processing, the single phase inverter is able to synthesise a clean sine wave that leads to a dramatic reduction in the magnetics and heavy cooling elements. This small and lightweight inverter enables simplified shipping and storing and one-person installation. The record-breaking 99% efficiency allows more energy production for an improved ROI.